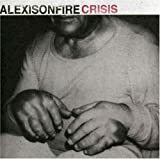 ALEXISONFIRE A DAGGER THROUGH THE HEART OF ST. ANGELES LYRICS"
Ties that restrict blood... to the brain. Passing notes in math class. Freedom wear your scars of desire. It's a coming of age story. Cuts seem to bend the sky. Bend (bend) the (the) sky (sky). I've read this book before. Waiting for the 3 o'clock bell. When Love challenged Freedom to a fist fight. Directly through the heart of St. Angeles. And bleeding on the pitcher's mound. 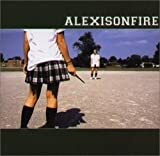 All Alexisonfire - A Dagger Through The Heart Of St. Angeles lyrics are property and © copyright of their respective owners. All A Dagger Through The Heart Of St. Angeles lyrics provided for educational purposes only.